“I am proud to work for a company that recognizes the importance of supporting non-profit organizations and am grateful that I have the opportunity to play a role in positively impacting someone’s life, even if it is just through raising a couple hundred dollars,” said Geddes. 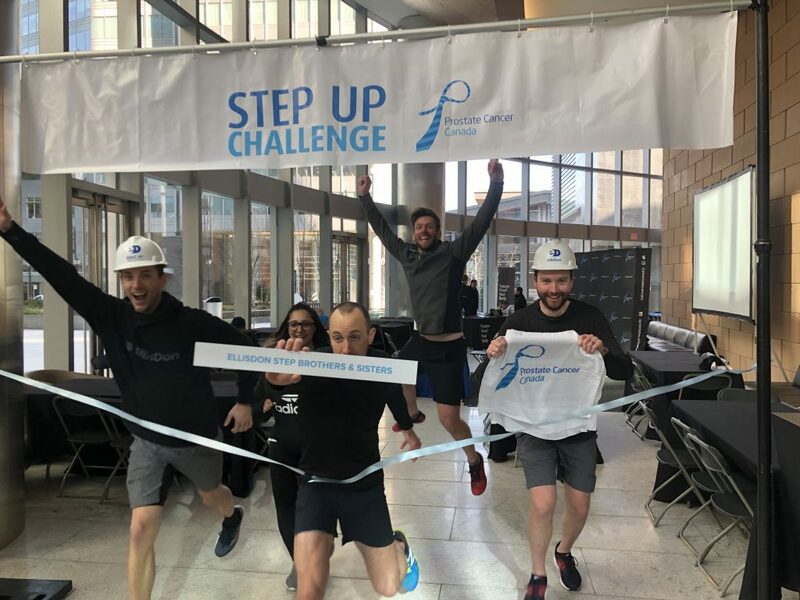 “I participated in the Step-Up Challenge because I wanted to challenge myself physically and mentally to climb each step of those high rise towers! I was motivated by my team members and knowing that we were raising awareness for all the men and their families who are effected by prostate cancer in our country,” said Karra Nowosiad, Executive Assistant, EllisDon Edmonton.